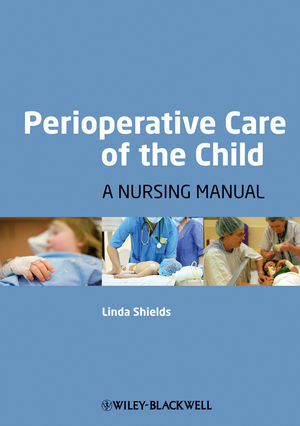 Edited by well-known and highly-regarded children’s nurse Linda Shields, Perioperative Care of the Child is an essential resource for any children’s nurse working in a perioperative setting and all student nurses on the child branch. This timely and valuable text provides comprehensive coverage of the essential skills and knowledge required by practitioners in order to deliver safe and effective perioperative nursing care for the child requiring surgery before, during and after any operation. Perioperative Care of the Child explores the role of the nurse in a wide variety of perioperative contexts, including anaesthetics, surgical procedures (including coverage of fetal surgery, endoscopic procedures and care of children with burns), paediatric transplantation, postoperative recovery, and pre- and post-hospital care. This essential resource benefits from an international perspective, with contributions from experienced and highly-specialised clinicians from around the world. Essential reading for children’s and perioperative nurses, and others who work in the perioperative area. Evidence-based, with clear links to nursing practice. Focuses on key skills and knowledge. Edited by an internationally-regarded children’s nurse.